ElectronicKitSchool. - This is one information update from robot technology news 2017 in this time with the article titled Toyota’s Home Helper Is a Glimpse of Our Robot-Assisted Future that written by Jamie Condliffe and published in MIT Technology Review site. Romulo Camargo is a U.S. Army veteran who was paralyzed below the neck during an ambush in Afghanistan. Unable to perform everyday tasks for himself, he’s recently received a little help from a robot. As The Verge notes, Toyota’s Human Support Robot has already been tested in hospitals in Japan, where the company plans to build and sell machines to help care for an aging population. 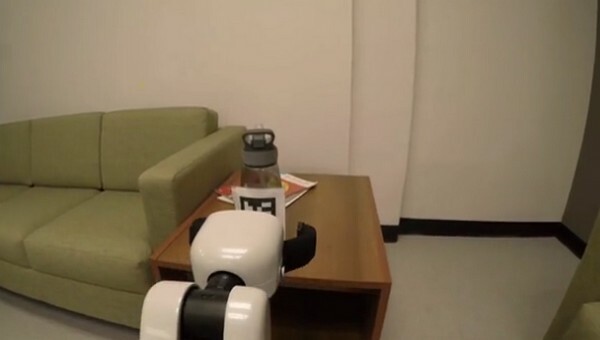 But Camargo is the first person in North America to have one of the firm’s devices roam about his private home, which is a challenging environment for a robot tasked with handling everyday objects. The robot itself is beckoned by Camargo, who taps a stylus held in his mouth on the screen of a tablet. Then the robot will, say, bring him a bottle of water and raise it so that he can drink from it. “Those are the most important tasks I do throughout the day, and the robot will do it for me,” says Camargo. “You know, that’s something huge.”. And now you read more about Toyota’s Home Helper Is a Glimpse of Our Robot-Assisted Future by Jamie Condliffe from original source using link HERE.